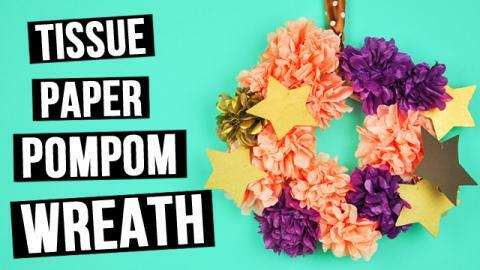 How to make DIY wreath. 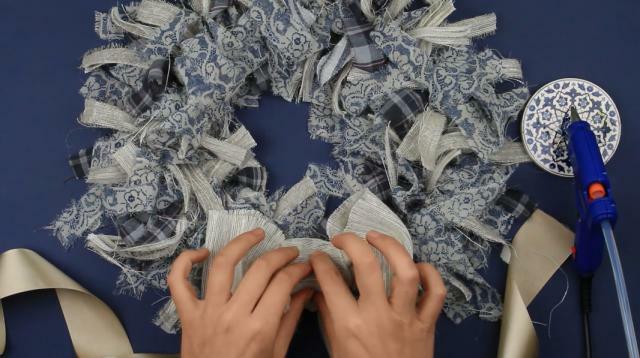 This tutorial will help you to make an interior wreath from pieces of fabric. 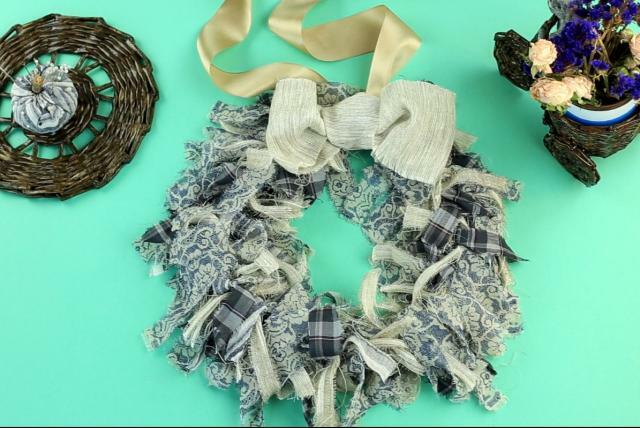 This handmade decorative fabric strip wreath will become a wonderful interior decoration! 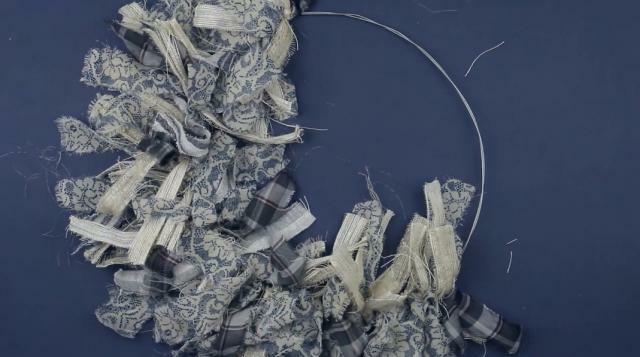 Today we’ll make an interior wreath from pieces of fabric. In this case we have 27 inches. 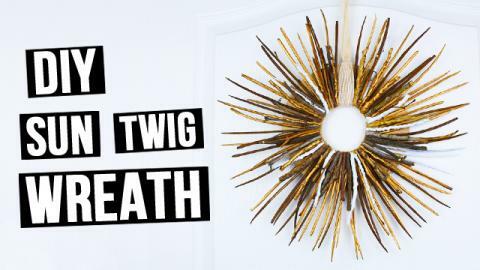 The length depends on the wreath size. 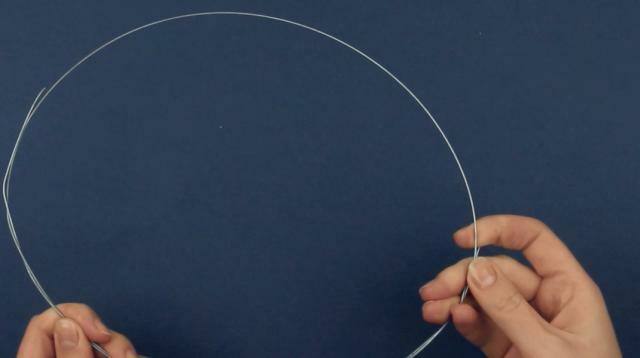 Bend the wire forming a ring. 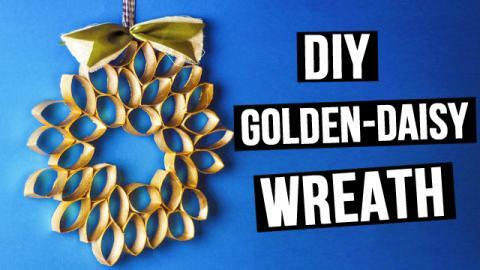 Fix the ends by twisting several times around the base. Shape the ring. Now decorate the base. 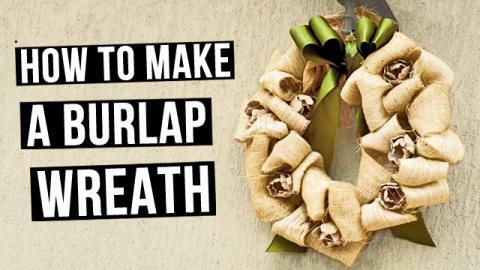 Take a fabric strip and tie a knot around the wire. Tie another strip close by. Continue covering the ring. 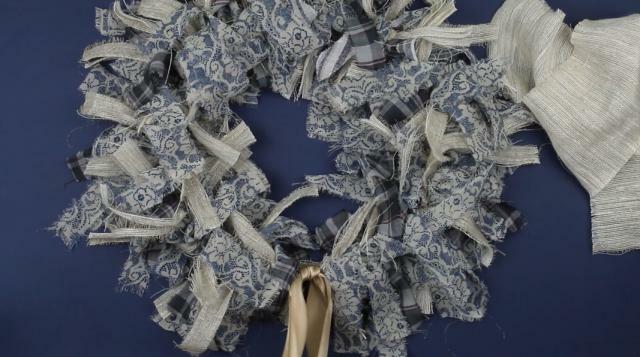 To fluff the wreath pull up the fabric strips closer to one another. 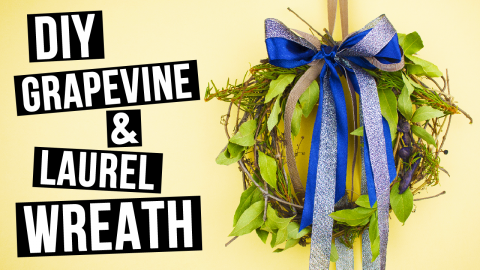 Tie a wide satin ribbon on the wreath. 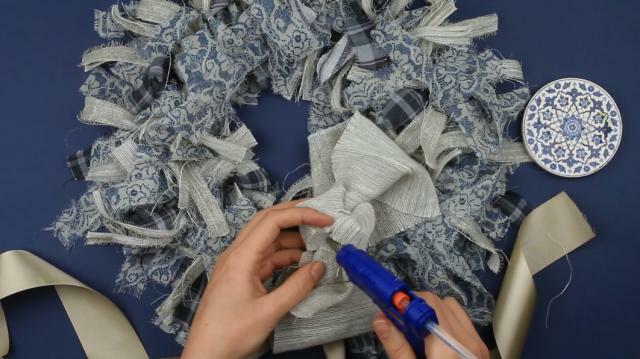 Make a bow using a bigger fabric piece. Tie a knot in the middle. Tuck the ends into the knot on the back side . Add hot glue. 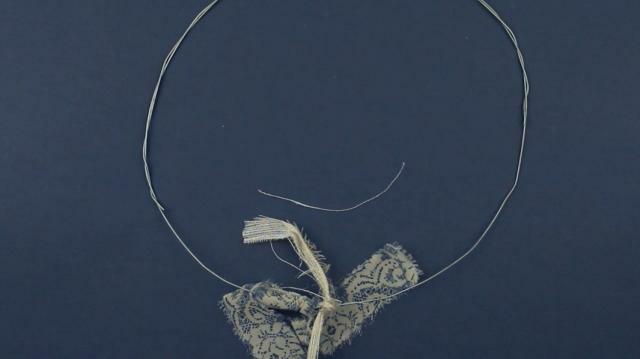 You can make some stitches to fix them. We have a big neat bow. 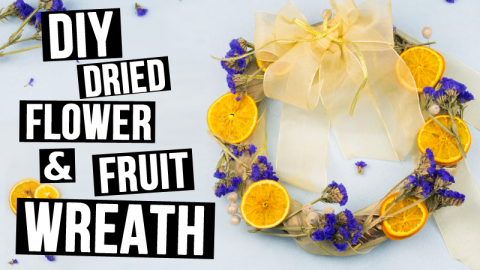 Attach it onto the ribbon. Perfect! 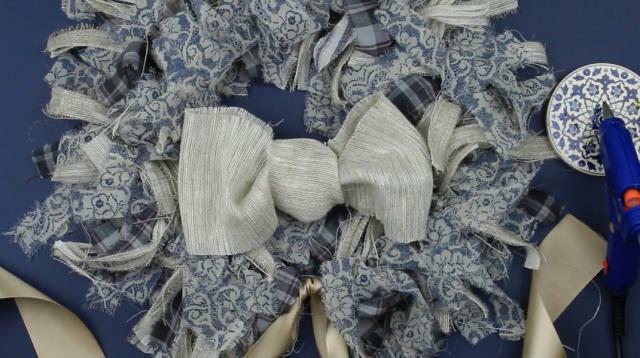 The handmade fabric strip wreath will become a wonderful interior decoration.